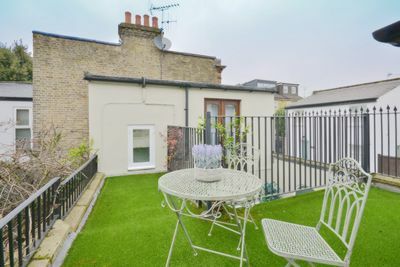 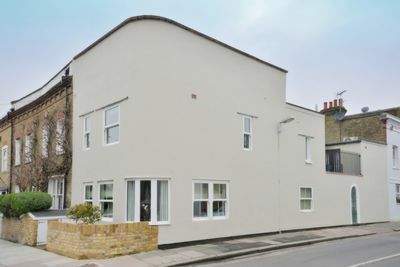 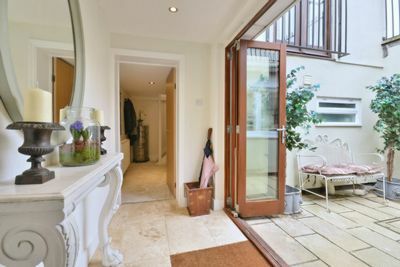 A simply stunning and architecturally unusual three double bedroom, two bathroom house in the heart of Little Chelsea and the Barnes Primary Catchment Area. 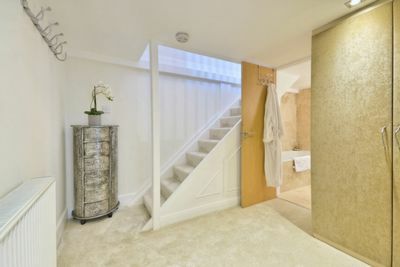 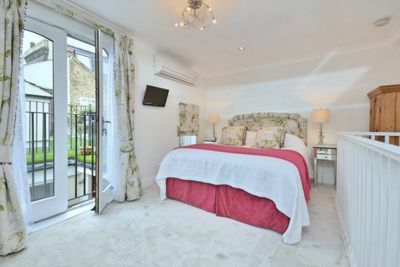 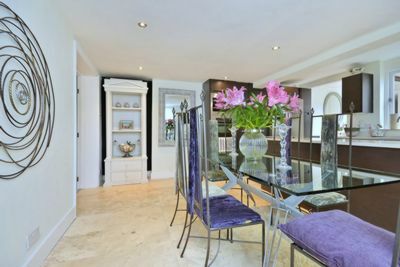 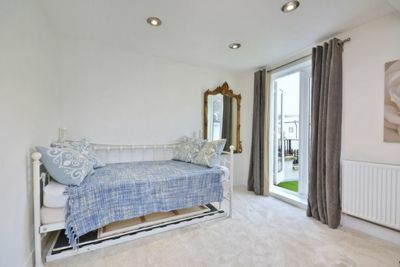 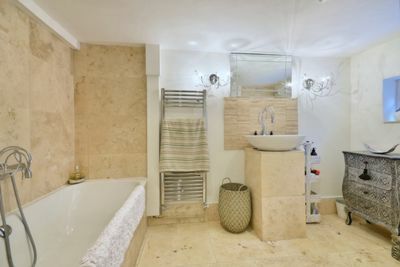 This larger than average Little Chelsea house is entered from the side via a pretty courtyard, giving access to the main house and the stunning, self-contained master bedroom suite with dressing room and luxury bathroom. 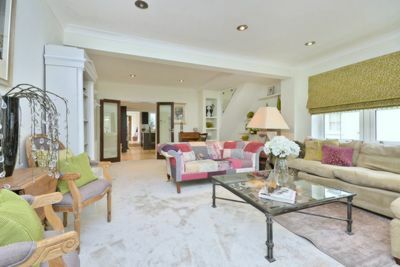 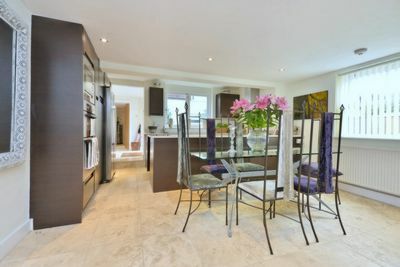 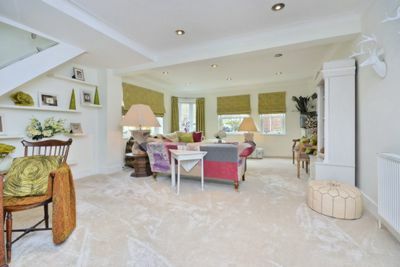 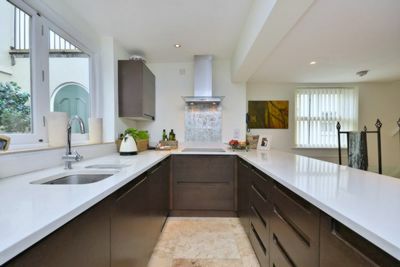 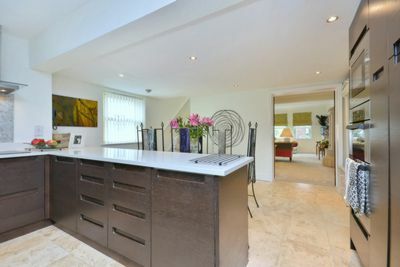 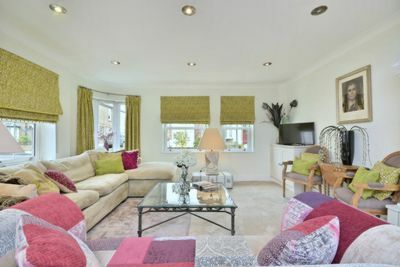 To the front of the house is a modern, fully fitted kitchen with access to the courtyard and a dining area, leading into the double aspect reception room. 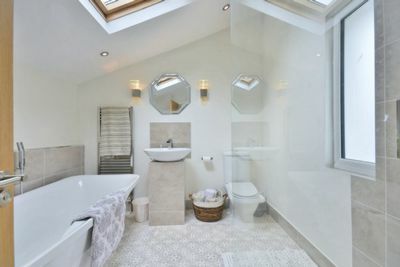 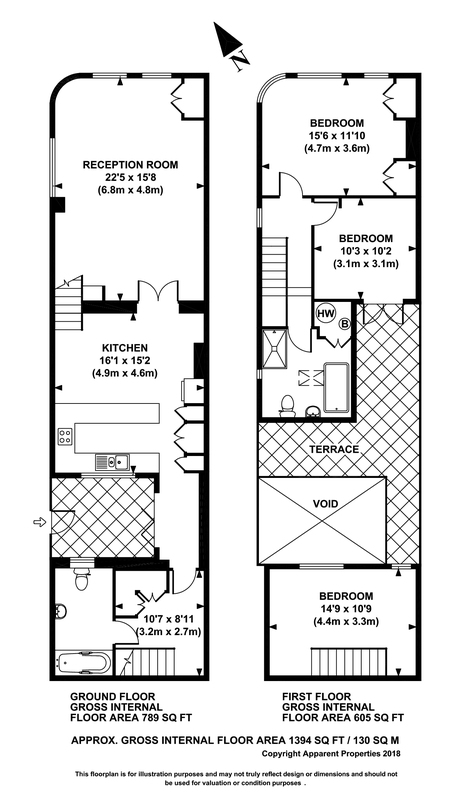 Upstairs are two large bedrooms with access to a roof garden and a beautiful tiled bathroom with freestanding bath and walk in shower.